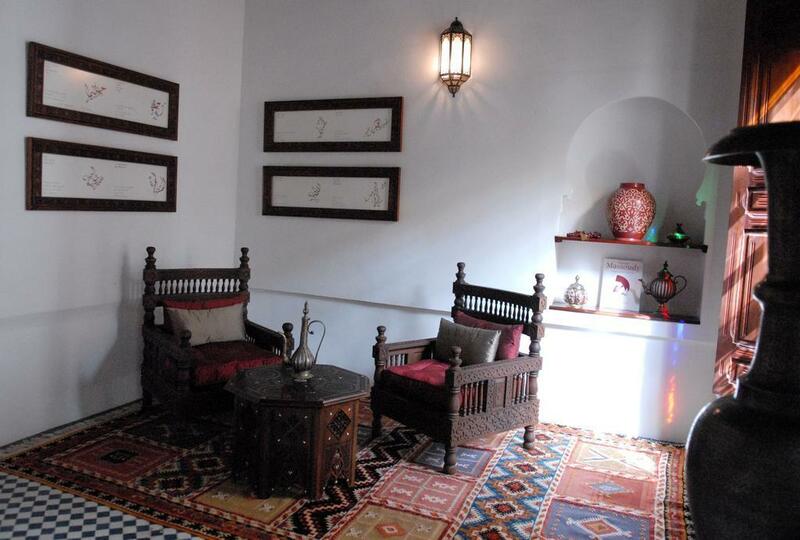 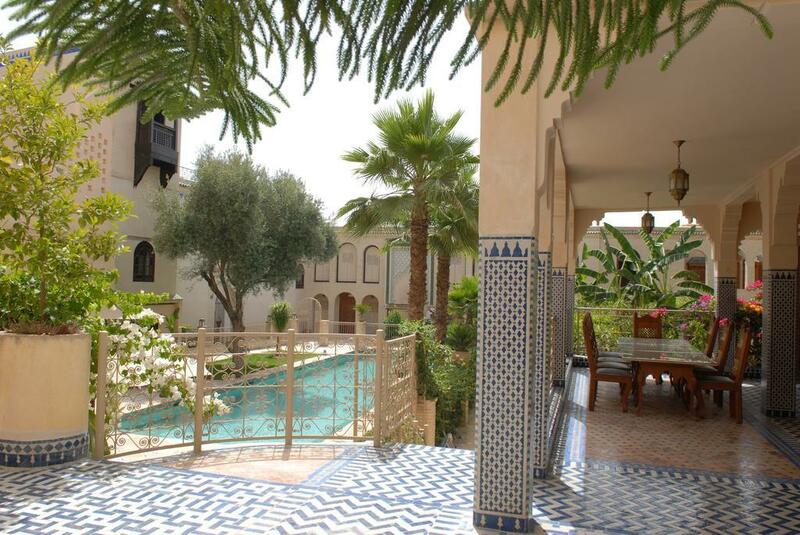 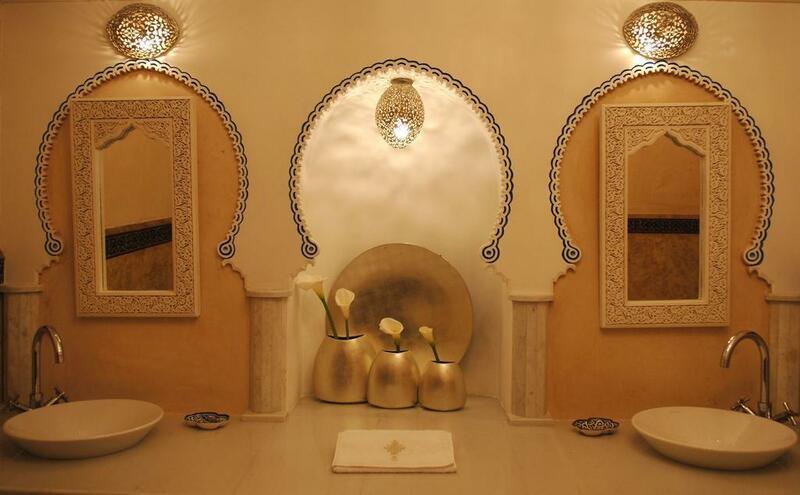 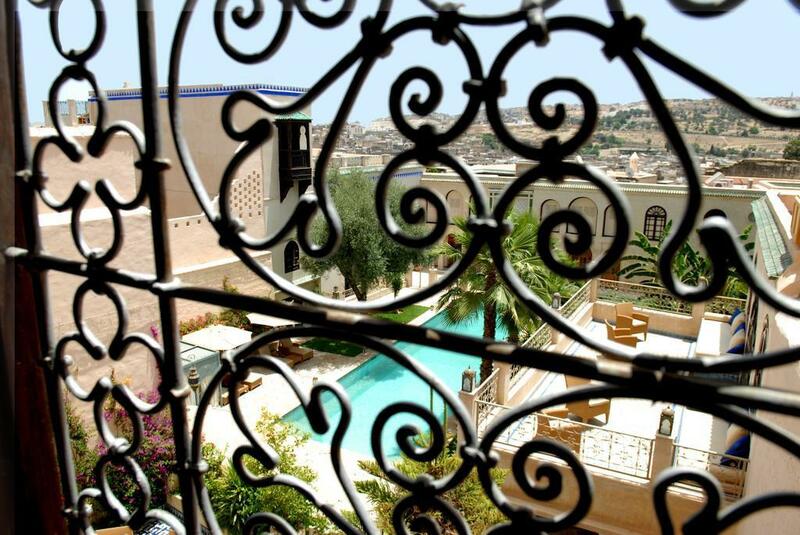 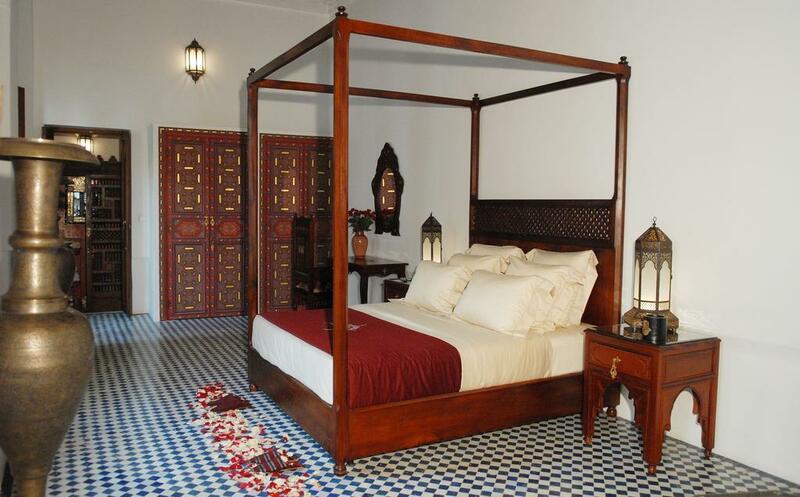 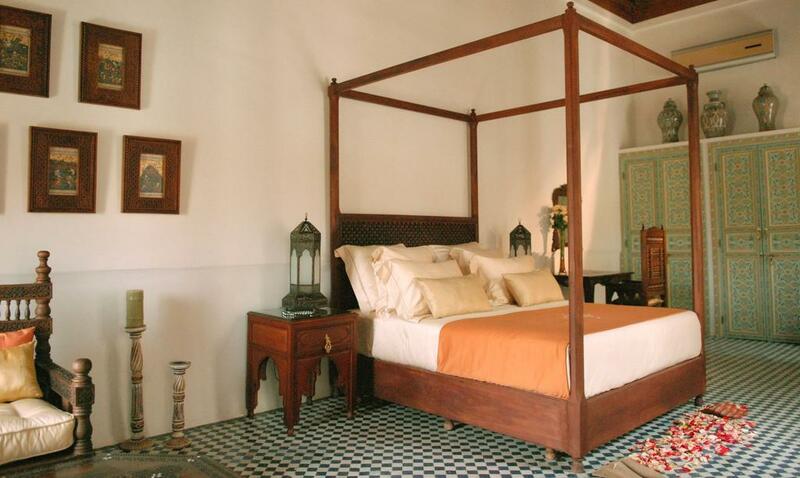 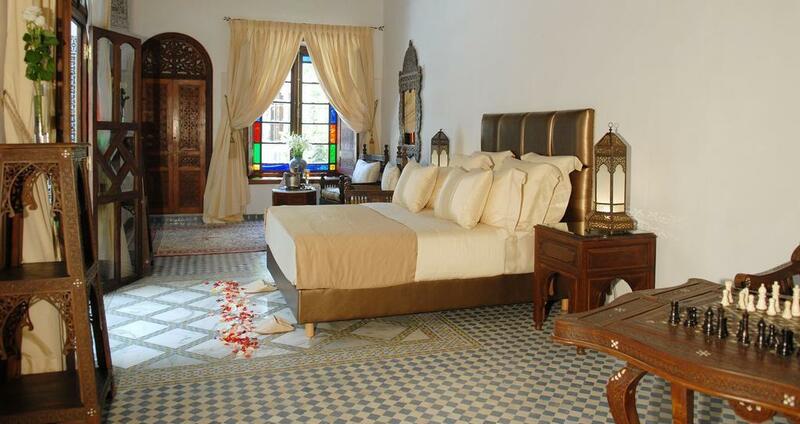 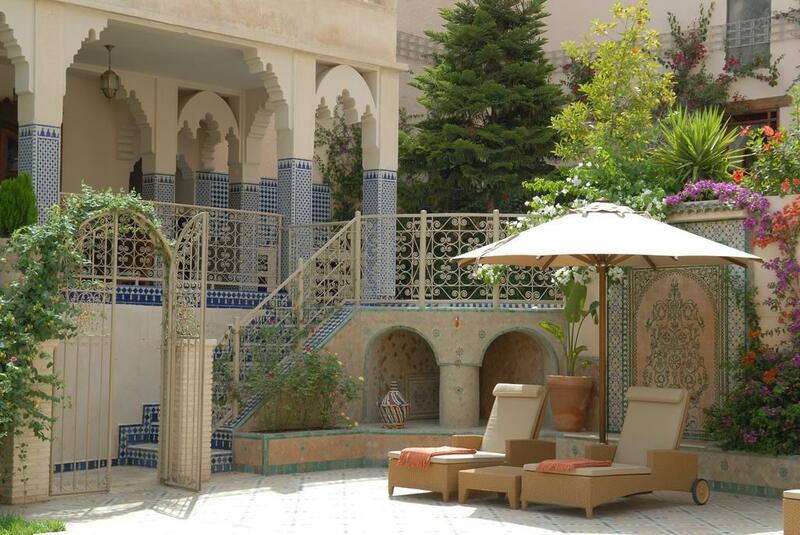 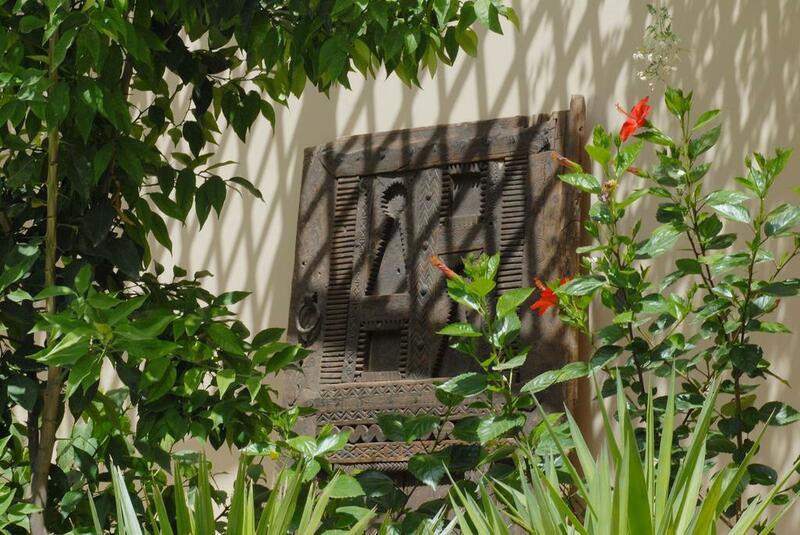 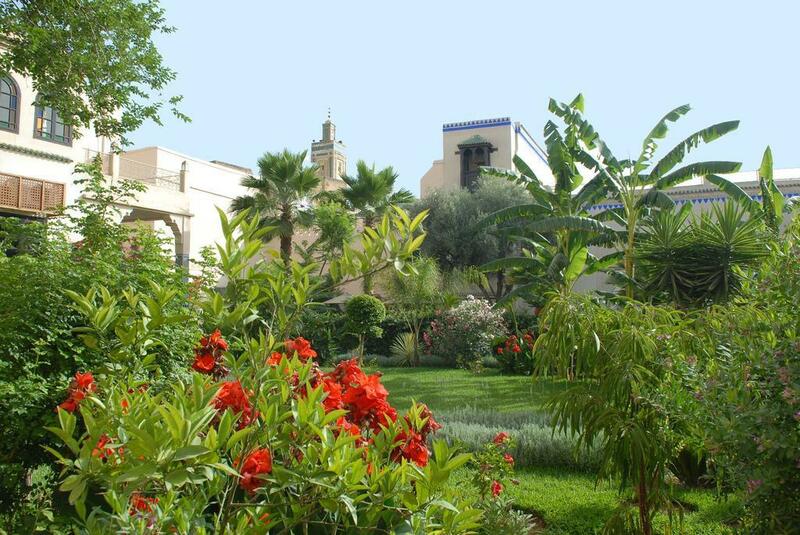 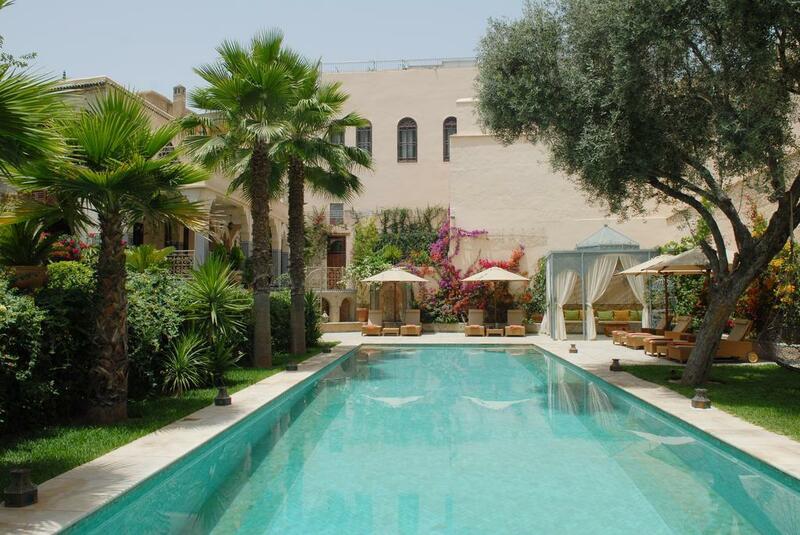 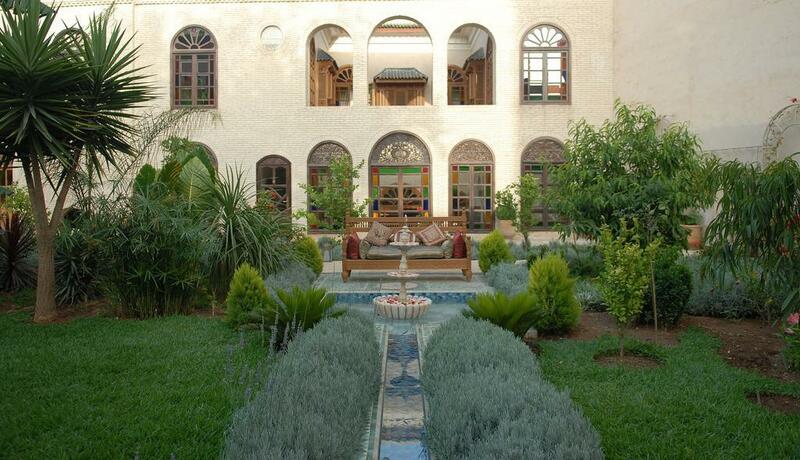 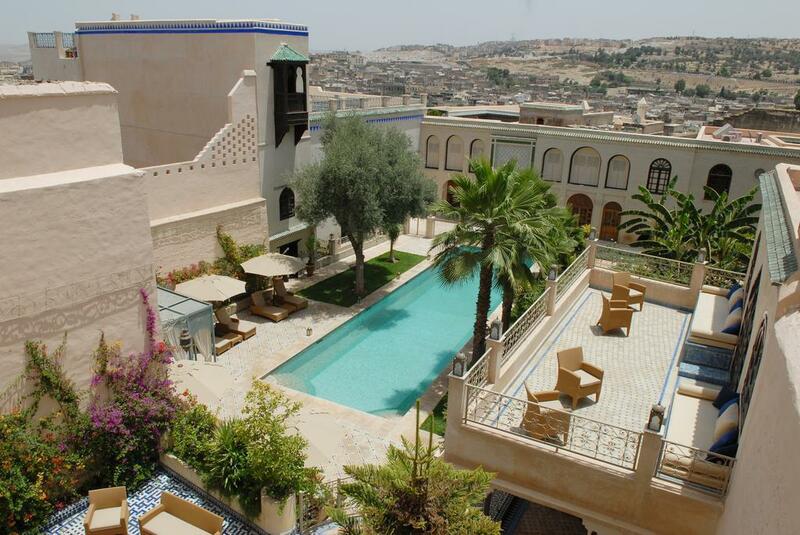 “Riad Alkantara” is an enchanting luxury hotel located in Fes, the queen of Morocco’s imperial cities, a marvellous guest house made of several riads, set among lush gardens and terraces. 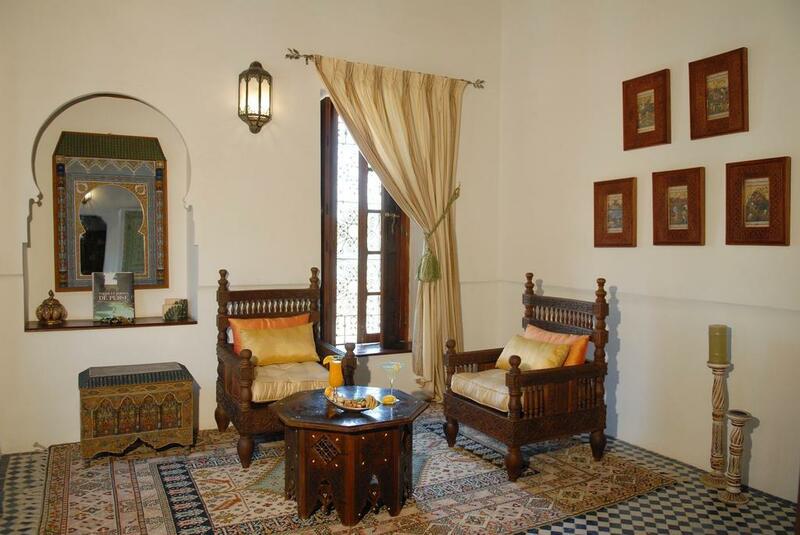 Carefully restored, the traditional 1930 house Dar Feshadara today offers five Junior suites, a lounge with fireplace and bookcases, a covered patio and the Moorish terrace with a Berber tent, shisha pipes and a superb view over the lively, vibrant Medina, the city walls, mosques, monumental gates and narrow winding lanes. 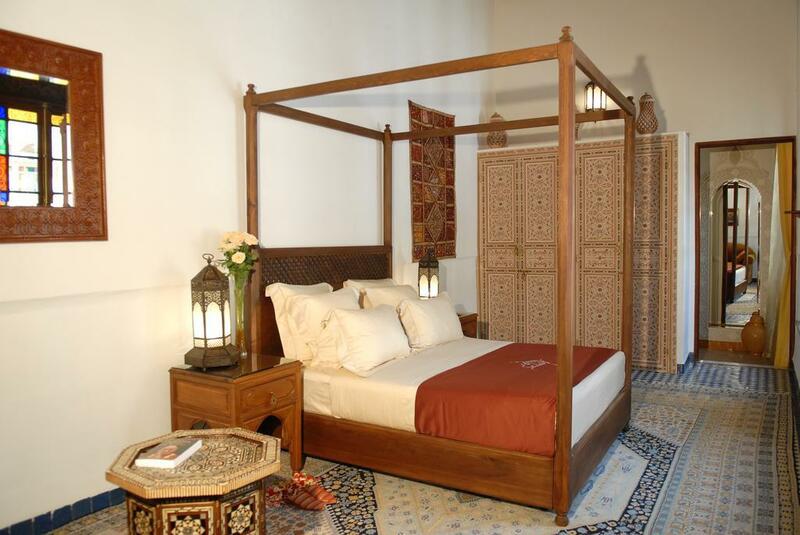 The bedrooms are magnificently appointed with traditional cedar wood furniture made by skilled local craftsmen and antiques from the Maghreb, Syria, Egypt and India, blending harmonious colours and an oriental style of sophisticated, discreet elegance and luxury. 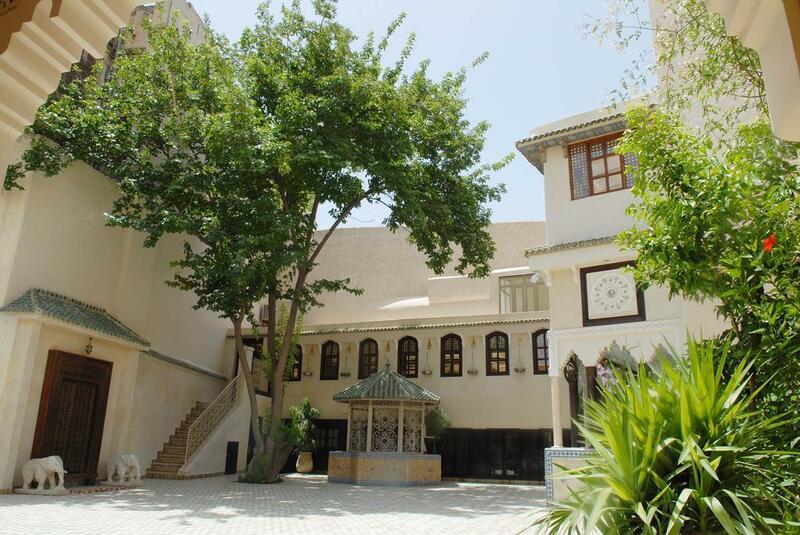 The restaurant area, previously dedicated to artistic workshops, has maintained its creative spirit and is still used for exhibitions. 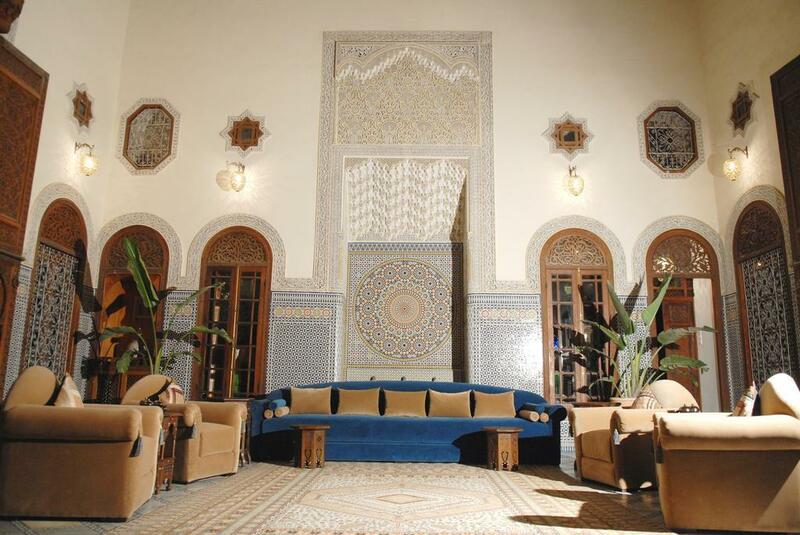 Large windows, zellige tiles and a traditional fountain, cedar wood and mirrors harmoniously blend with modern furnishings and the sublime, light and inventive fusion cuisine. 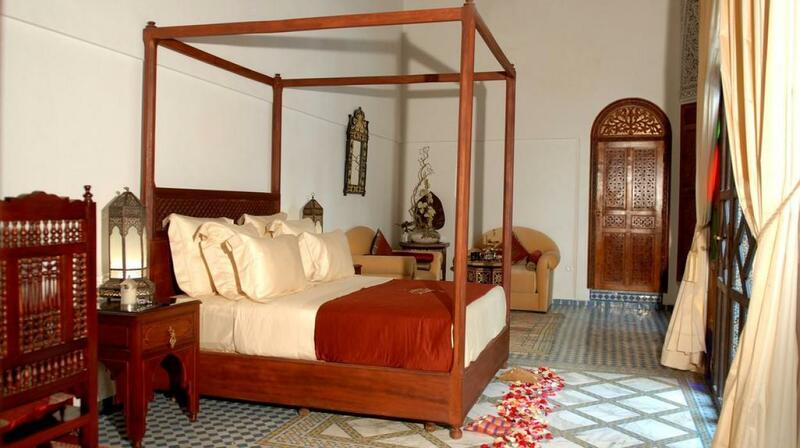 Extra beds Children: All children equal or under 12 years is charged € 65.00 per person per night when using extra beds.